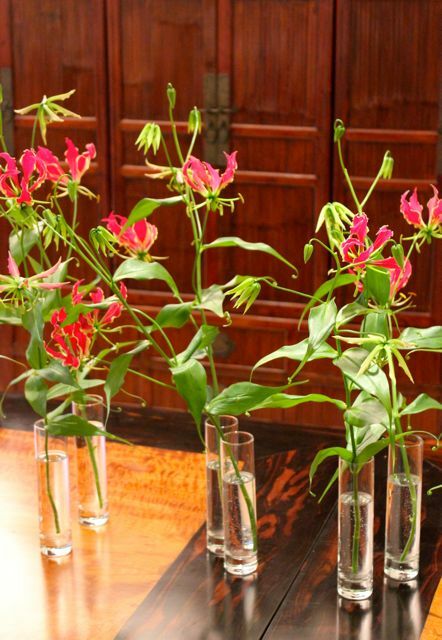 I also put a dozen or so stems in individual straight glass vases, and put them down the center of our dining table. They looked good this way as well. At roughly PHP25 or so per stem, these were a real bargain. Too bad not many florists seem to carry the blooms. How very lovely is the first photo!! The light, the madonna (is it!??) 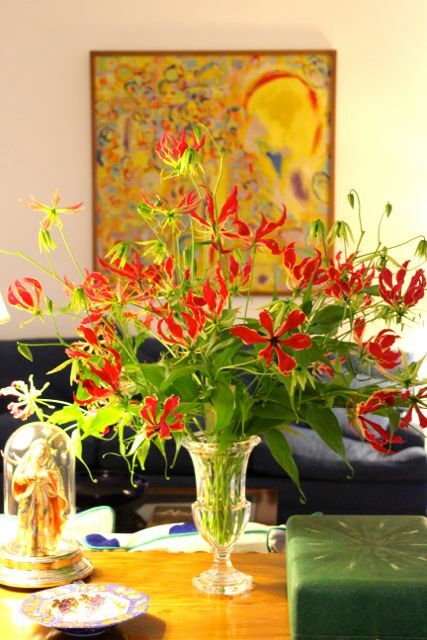 the painting and the flowers (wish I were tech-savvy and could download the photo (if that were even possible) – beautiful composition, MM. Breath of spring for us here in snowbound …. so that’s what they’re called. glorious indeed! so simple..yet elegant, as always MM, beautiful! Silly Lolo indeed will be missed. May his soul rest in peace. What a ‘beautiful mess’ of varied folks you have joined together in this community, MM. Your tatay, Ms. Veronica, will be truly missed! But now, I bet he is the life of the party UP THERE!!! Can’t wait to meet him! oh. i bet silly lolo is making everyone laugh up there. rest in peace, sillylolo. Rest in peace, Silly Lolo. I wonder if we can have his real name so we can offer a prayer or mass for the eternal repose of his soul. He passed away April 13, 2013… Ley, you know this was “Silly Lolo” right? Because I never knew his real name… I did some checking on old comments, yes, this could be him, as his email address was “Normie” and the gentleman’s name is Norman. Silly lolo posted his last comment on this blog on August 26, 1010, and he passed away apparently 2.5 years later. Many readers have left comments in the past two years asking about him… I hope he rests in peace. mm it’s been like 3 years since the last mm eyeball. we can have the same thing here in Iloilo. we have a different way to cook lechon and of course the lapaz batchoy. I can be one of the core group to organize the event. Perfect choice of vase for a beautiful flower MM. I agree with Scott, simple yet elegant. Its sad to hear about Silly Lolo’s passing. I have just started reading your old posts one by one , (from August 2007). I cant help but be amused with Silly Lolo’s humor. May he rest in peace. Sonny Sj: I just read the link provided by Ley. Norman Delfino Montes is Silly Lolo’s real name. Yes, I am sure MM. Several years ago, Sillly Lolo mentioned about his daughter and her blog. I checked the blog and visited it from time to time. I left a comment in one of her posts about how I “met” her dad on MarketManila. Just thought this might interest you. Saw a post in FB. KILLER KNIFE SKILLS class is happening on Saturday March 1 in Makati! Learn proper chopping techniques (such as batonnet, julienne, dice, brunoise, chiffonade, and supreme) and you’ll find yourself spending less time prepping and more time savouring your home cooked meal. You’ll also learn how to care for, sharpen, and hone your knives. To sign up and get more class details, text 0917-894-5086 or email info@kitchenrevolution.ph. MM, feel really so sad about Silly Lolo.. Because of him and other Seniors here in your blog, I chose to be a Silly Lola as well–to grand kids and all kids I meet. Lord knows this is a more complicated world now. MM, yours is by far the best blog, keeping a closed knit net-readership. Marilen, i know you are Ilonggo.. Kamusta na ang snow dira? Sad to hear about Silly Lolo. May his soul rest in peace. 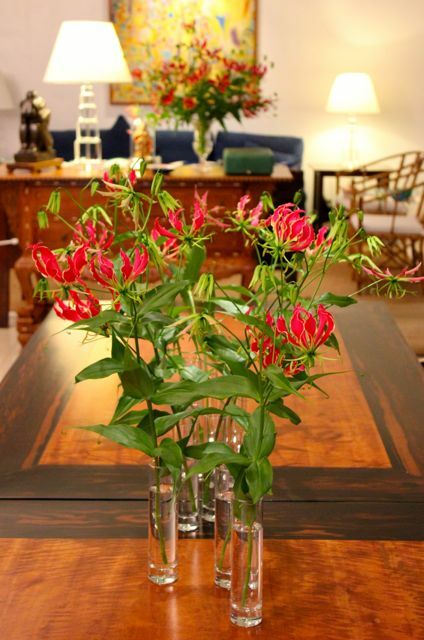 The flower arrangement is indeed glorious… you always outdo each one. Get well soon MM! and condolences to the family of Silly Lolo. Sorry I didn’t read the comments neither the previous posts (as the answer to my upcoming question could be found there) but where do you find this kind of flower> They look fantastic! cucharatenedor, got these at the Dangwa/Dimasalang wholesale flower market. hello MM. i enjoy all your posts since stumbling on it 2 years ago and always look forward to each one. just curious what camera you use, if you don’t mind my asking. you take perfectly lovely shots and use such splendid words for your blogs. thank you for sharing all the tips and great recipes. Babot, I use a 2-3 year old Canon EOS600, which most of the time, is on auto focus, auto light settings. I am actually not much of a photographer, and take many shots, hoping something will turn out usable… :) My wife and daughter are much more into photography than I am. Sometimes, I use a point and shoot lumix camera, a fairly new one, and it takes wonderful photos for such a small compact camera. More T-shirt and Tote PICK-UP Dates, Saturdays, December 1 and 8!!! What Pinoy Desserts Do You Order When Eating Out? Win a Trip for Two to Cebu to Eat Zubuchon!! !